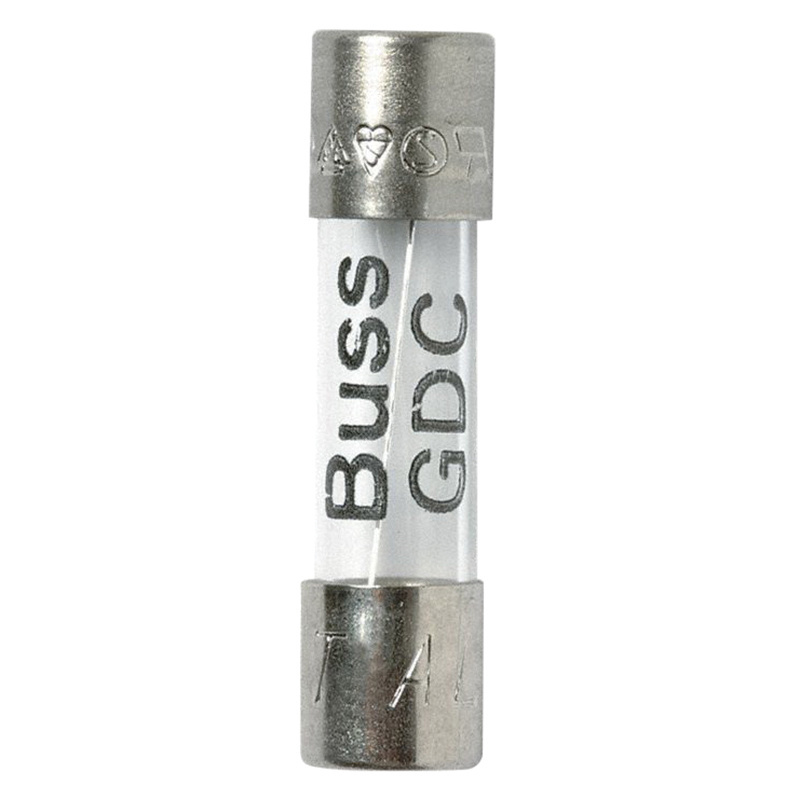 Bussmann GDC Series Single element non-rejection time-delay fuse is rated at 4-Amps and 250-Volt AC. Fuse has ferrule terminal connection and cylindrical body style. The interrupt rating of this fuse is 35-Amps at 250-Volt AC. It has dimensions of 5 mm Dia x 20 mm. The indicating fuse with panel/clip mounting, features glass body and nickel-plated brass contacts. It is suitable for electronic circuits. Fuse is cURus listed, CSA certified and IMQ approved.